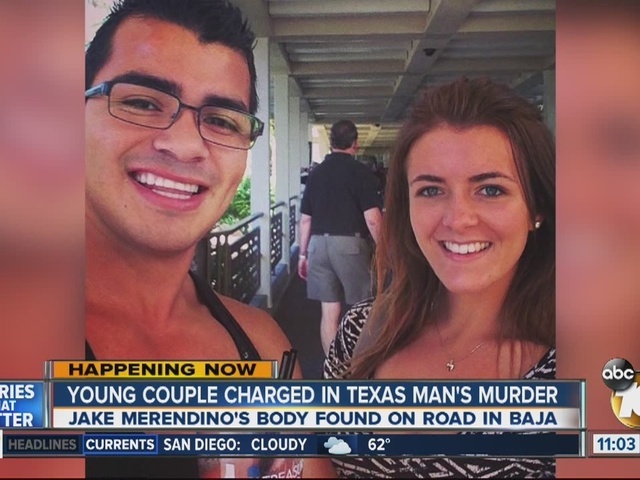 SAN DIEGO -- An Imperial Beach man who was indicted, along with his girlfriend, in the stabbing death in Mexico of his wealthy Texas boyfriend, pleaded not guilty Thursday to a federal charge of interstate or foreign domestic violence resulting in murder. David Enrique Meza, 25, and his 20-year-old girlfriend, Taylor Marie Langston, were arrested by FBI agents early Wednesday morning at their home in the 700 block of Ninth Street. Meza -- who is additionally charged with conspiracy to obstruct justice and faces life in prison if convicted -- was ordered held without bail pending a detention hearing on Monday. Bail was set at $50,000 for Langston, who pleaded not guilty to charges of conspiracy, obstruction of justice and making a false statement to a federal officer. Attorneys said Langston had filed a restraining order against Meza stemming from a domestic violence incident last year. 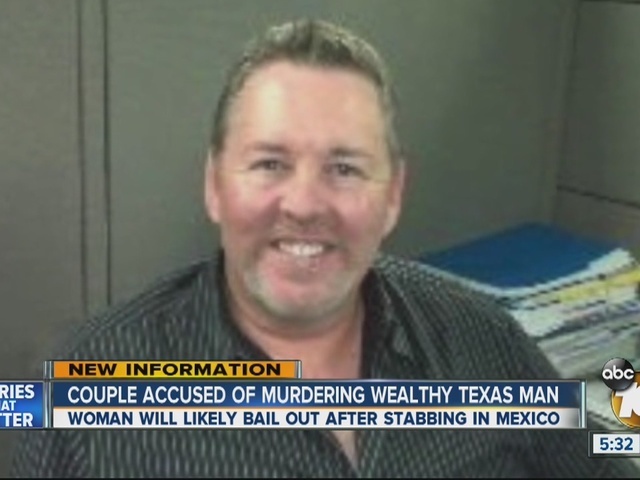 The couple was indicted by a federal grand jury in connection with the fatal stabbing of Meza's 52-year-old boyfriend, wealthy Texas retiree Jake Clyde Merendino. According to a search warrant affidavit, Merendino was found stabbed to death May 2 in a ravine next to the highway between Rosarito and Ensenada, in an area known as Los Arenales. On May 1, the victim and Meza drove to Mexico, with Merendino driving his Range Rover and Meza following on a motorcycle, according to the search warrant affidavit. The new condo wasn't ready to move into, so the couple checked in at Bobby's By the Sea hotel. Later that same day, Langston and Meza returned to the hotel to collect Meza's belongings, according to Assistant U.S. Attorney Alexandra Foster. The victim's iPad was found during a search of the defendants' home in June, the prosecutor said. A motions and trial-setting hearing is set for Jan. 22 before U.S. District Judge Jeffrey Miller.